As of October 6th, Drunk Hulk finally sobered up and will no longer be posting updates to his Twitter. For those unfamiliar, Drunk Hulk was a fictional character on Twitter with over 190,000 followers who would comment on the day-to-day goings on with a spin that only a drunk gamma-ray powered lug possibly could. Among my favorites were Drunk Hulk's views on Miley Cyrus (SHE NATIONAL TREASURE, NEED BE BURIED AS FAST AS POSSIBLE! ), and many others. Salon had a great write-up on the character's creator, actually a writer from Poland. So long, Drunk Hulk - we'll pour one out for you. I'm going to relegate this to the Bits & Bobs column since Ghostbusters III news since 1992 has virtually been given away like free discs of AOL software (they still do that, right?) but The Hollywood Reporter has broken the story that The Heat writer Katie Dippold is joining director Paul Feig on his new Ghostbusters film. 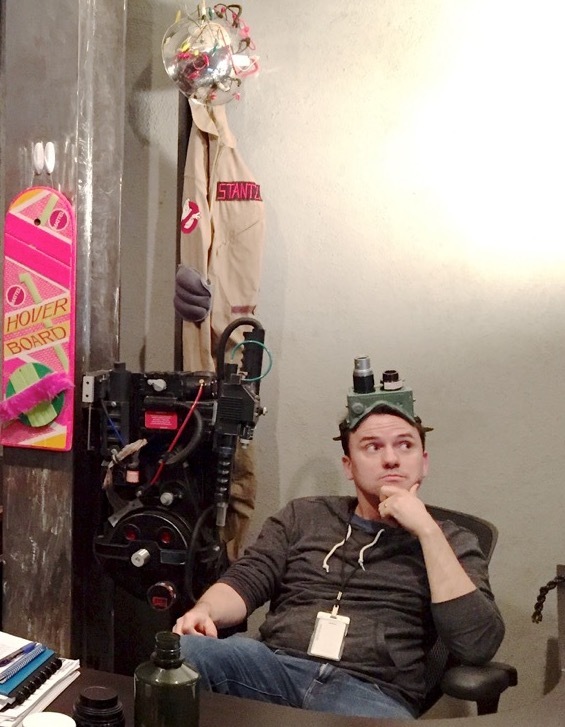 Dippold joins the ranks of Etan Coen, Gene Stupnitsky and Lee Eisenberg, and of course Harold Ramis and Dan Aykroyd who have attempted to crack the code of a third film in the franchise. For more information on the long story of Ghostbusters III, check out this feature on SPT that goes into detail which was written before Feig even entered the picture. The beat goes on. Posted on October 8, 2014 by Troy Benjamin and filed under Bits & Bobs and tagged drunk hulk social media twitter ghostbusters iii ghostbusters paul feig katie dippold.